The concept of quality is majorly we will focus in unit 3 managing quality in health and social care assignment report. Then we will discuss the perspective of different stakeholders in the healthcare industry. The role of external agencies also we will talk about which helps in setting the quality standards.Impact of poor service quality on the organisation and on the patients we need to discuss. Different approaches to implement the quality system also we will talk about in context of home care services and barriers to implement these approaches. After that the effectiveness of systemand policies we need to discuss and finally we will evaluate the methods for health and social care service quality with regard to external and internal perspectivesand we will also discuss the impact of involving users in the evaluation process in the below report. 1.1 Explain perspectives that stakeholders in health andsocial care have regarding quality. The quality regarding the health and social care depends on the individual to individual. Older client may not like the home care services which their family members or the staff members of the home care like. Perspectives of service seekers- The individuals who seek the services of the Royal United Hospital Bath NHS Trusthave their own perspective regarding the quality of the services.The quality of the home care must meet the essentials of the patients or service seekers. But it never means to fulfil the basic needs or requirements of the individuals who are seeking the service.On the other hand if the home care is not able to meet the basic needs of the patients then this is important to analyse the certain reasons behind this (Janamian, et. al., 2014). Perspectives of workers or staff members- Workers who are providing the services to the service seekers or we can say the health service practitioners as well as professionals have the responsibility and liability to maintain the quality of the Royal United Hospital Bath NHS Trust. This can be done only when the staff of the home care is motivated enough to perform the practices efficiently. For this the monetary and non- monetary reward can provided to the employees of the home care. Perspective of technicians- Effective as well as efficient performance of the Royal United Hospital Bath NHS Trust also depends on the technical services. For this in the home care total quality management (TQM) can be established i.e. in this system the whole working staff of the organisation maintain the high quality standards. Other than this the functional qualities of the home care like auditing, recording of data, supervision as well as feedback from the customers also needs to be maintain in documents, which are helpful in providing the information etc. Perspective of legal bodies- Other external bodieslike Central Quality Commission (CQC), health service commissioners and national institute of for clinical excellence which set the benchmarks for the health and social care. If the standards are not meet these bodies can take actions in their boundaries(Blake, et. al., 2015). Examples of that can be dressing, eating meals and bathing of patients.All these activities need a greater customer care orientation. This can be only done by expanding the synergetic work approach in the Royal United Hospital Bath NHS Trust. And this is also helpful in care giving environment to the service seekers at the home care (Janamian, et. al., 2014). 1.2 Analyse the role of external agencies in setting standards. The two external bodies in the health and social care can be Care Quality Commission (CQC) and National institute for clinical excellence. CQC safeguards the services of the home cares and also set the standards so that the service seekers at the Royal United Hospital Bath NHS Trust can get the basic facilities. CQC also regulate and supervise the services at the home and social care. Ensures the rights of the vulnerable individuals. Take actions if the hoe and social cares do not meet the pre-defined standards(Blake, et. al., 2015). It generates the guidelines and also gives advices time to time to the health and social services. It also evolves thestandards for the home cares and social care services as well. NICE also impart the wide range of information to the healthcare institutions(Rawlins, 2015). 1.3 Assess the impact of poor service quality on health andsocial care stakeholders. Impact of poor care on the organizations- because of poor quality services the organisation may affectadversely.Poor quality cost canreduce the productivity of the organisation because of that the profitability of the Royal United Hospital Bath NHS Trust can also decrease. On the other hand the poor quality of the organisation can also reduce the customer satisfaction that can lead the organization to shut down.CQC and other health regulation agencies may have to take certain legal actions which also can destroy the brand building of the organisation(Blake, et. al., 2015). Impact of poor care on the service users- The health care service organisations must have thevast impact on the service users. If the satisfaction level of the service seekers at the Royal United Hospital Bath NHS Trust decreases that may lead to negative mouth publicity and the customer loyalty can be lost by the organisation.If in the home care poor quality services are provided and poor equipment’s are being used that can be hazardous for the service seekers etc. (Sahel, et. al., 2015). 2.1 explain the standards that exist in health and social care for measuring quality. These quality and standards provide the Health service command (HSC) and also measure the service quality(Sahel, et. al., 2015). Quality standards also substantiate the improvement for the health and social care organisation. Quality standards provide assistance to the service seekers in the Royal United Hospital Bath NHS Trust and also make them understand the services which they are entitled to seek. Quality standards in the Royal United Hospital Bath NHS Trust also legalize the formal assessment of quality standards and safety issues in the organisation. Quality standards in the Royal United Hospital Bath NHS Trust also help in implementation of the dutieswhich are related to the human rights and equality at the home care. Quality standards in the health care and social services are important for the large as well as for the small healthcare organizations (Cowles, 2012). Because the services in the health care are getting complex day by day so the organizations of the service and healthcare industry have to adopt the more integrated approaches. So many prominent quality standards which are helpful in marinating the standard are already exist, and certain measures which organisation like the Royal United Hospital Bath NHS Trust keep in mind are effective leadership, responsibility of the homecare towards the service seekers, providing safe and secure care, flexible services, promotion, protection and improved health care by using innovative technology equipment’s and clear communication.These standards are measured and evaluated by the Regulation and Quality Improvement Authority (RQIA) in the homecare (Pejovi?, et. al., 2016).The foremost part of the healthcare home is to provide the safe guard to the service seekers. It ensures that the requirements and the essentials of the patients must be fulfilled. The staff members of the Royal United Hospital Bath NHS Trust also ensures the efficiency i.e. the services which are provided to the services must avoid the wastage and the excessive use of machineries and other equipment’s(Cowles, 2012). 2.2 Evaluate different approaches to implementing quality systems. The quality standards which exist in the healthcare servicesare putting steps quickly in changing era. Quality change in the home cares services can lead to the organisation at the mount level.Quality system in the healthcare provides the wide understanding of the quality elements by implementing different models in the Royal United Hospital Bath NHS Trust. Quality systemin the homecare had proved valuable. Other than this the quality service in the homecare organisations also helpful in investigation and structure equation method so that the best fit model can be adopted by the Royal United Hospital Bath NHS Trust for the smooth running.Other than this total quality management (TQM) can also be adopted to implement the quality standard in the Royal United Hospital Bath NHS Trust(Sahel, et. al., 2015). Approaches for implementing these quality systems- For the continuousgrowth and improvement the Royal United Hospital Bath NHS Trust can implement the TQM.Continuous quality improvement can be is very essential for the development of healthcare services(Thorogood &Coombes, 2010). Mostly, the home care institutes favour the quality assurance because this concentrate on the issues which are related with the regulations like documentation of service seekers as well as the employees of the homecare and administration process. Total Quality Management (TQM) is considered as the best approach for the Royal United Hospital Bath NHS Trust becauseby implementing this approach the extensive and revealing analysis can be done in the organisation. Other than this, by adoption of the TQM defects can be removed in the homecare and customer satisfaction can be increased to vast level(Mohammad Mosadeghrad, 2013).Additionally, the cost of the Royal United Hospital Bath NHS Trust can also be removed to vast level. 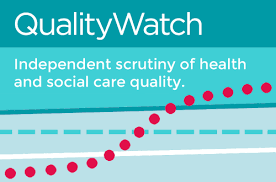 2.3 Analyse potential barriers to delivery of quality health and social care services. Internal as well as the external barriers are- In the health and social care like Royal United Hospital Bath NHS Trust can face the internal as well as the external factors. Internal barriers can be lack of improvement in the technology and equipment’s and lack of adequate communication system etc. this can lead the dissatisfaction among the service seekers.External barriers can belack of health insurance, financing system and lack of family as well as social support. These barriers can lead to the adverse condition. For e.g. by lack of communication among the workforce or the health care practitioner in the Royal United Hospital Bath NHS Trust might result in poor handling of the service seekers. Other than this, weak management system in the organisation is unable to drive innovative change. Apart from this, lack of health insurances can also result in inefficiency in the conformation of programs to all the natives(Ozok, 2012). Poor financing system can also be reason behind the mismanagement in the Royal United Hospital Bath NHS Trust. Additionally, lack of adoption of quality system in the Royal United Hospital Bath NHS Trustcan also be cause behind thepoor leadership, lack of training and development programs etc. these factors also can affect the whole management system of the organisation negatively(Sahel, et. al., 2015). 3.1 evaluate the effectiveness of systems, policies andprocedures used in a health and social care setting inachieving quality in the service(s) offered. At theRoyal United Hospital Bath NHS Trustnurses and health professionals provide care to theservice seekers. And other than this the nurses also provides the palliative care to the elder patients, who are the patients of heart attack and cancer etc. this palliative care ensures the necessary care treatments, which is helpful in description of the situation of the patients. Specific policies and procedures and system scenario in the Royal United Hospital Bath NHS Trust is that quality health and social care institutions are incorporate with theservice providing organisations, which are providing the quality health and social care(Ozok, 2012).These organisations want to achieve the goals by implementing the policiessuch as severe disease programs, providing better health care to the service seekers and patients and also giving the incentives or other benefits to the health professional and other technical staff of the organisation. That may also include theperformance base pay structure and culture monetary as well as non- monetary rewards. These policies are effective in implementing inhome care and social care services because these ensure thequality improvement in the Royal United Hospital Bath NHS Trust. 3.2 analyse other factors that influence the achievement of quality in the health and social care service. The factors which influence the efficiency of theRoyal United Hospital Bath NHS Trust include the documentation as well as the record of affirmative results of the organisation(Ozok, 2012).Other than this achievement in the homecare is tied to determine the value of rewards. And Royal United Hospital Bath NHS Trust also seeks to cater the increased integrity to its stakeholders to achieve thequality. These factors can influence the achieving quality care standards in the Royal United Hospital Bath NHS Trust by the implementation of effective and prosperous quality system, generally involves the requirement to work towards the appropriate level of performance(Hu, 2014). Organisations, which are working without setting the standards, fail to achieve its objectives because of poor internal system. 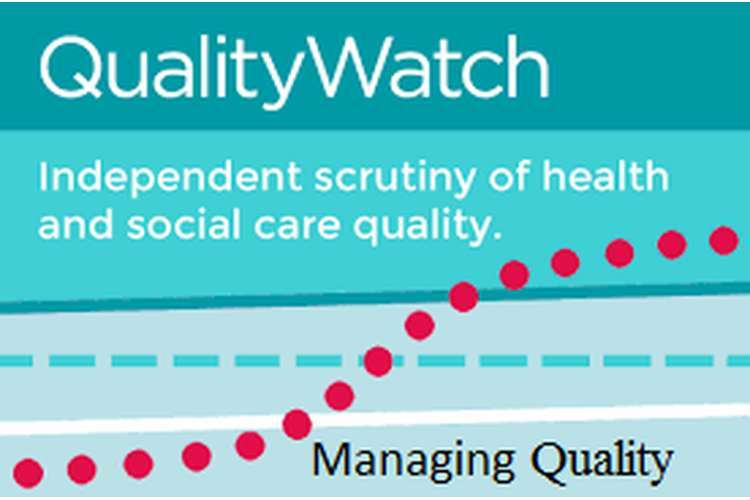 3.3 Suggest ways in which the health and social care service could improve its quality. The Royal United Hospital Bath NHS Trust can implement the certain ways to improve the quality of the services. The capability as well as the efficiency of the workforce at the Royal United Hospital Bath NHS Trust has reduced to the vast level because of overcrowding(Ozok, 2012). Additionally, the service seekers of the organisation also have to wait in the queue.The facility capacity at the home care was almost full and extra beds were also occupied that result in chaos in the homecare. The major issue at the Royal United Hospital was the lack of staff members as well as lack of equipment’s. Because of that the hospital was finding difficulty in admitting the new patients and because of overcrowded the management of the home care was not able to maintain the quality. Such the above discussed problems can be identified and can be remove by implementing the certain ways.A comprehensive approach as well as palliative approach can be adopted by the organisation because of necessity.These approaches can be helpful in overcoming from the problem of under staff by hiring more talented staff members so that the increasing demand of the workforce can be fulfilled. Other than this, the Royal United Hospital also has to update its technology system to make its working environment more efficient. Because of that the organisation may have to expand its premises and infrastructure too(Sahel, et. al., 2015). 4.1 Evaluate methods for evaluating health and social care service quality with regard to external and internal perspectives. There we have discussed certain methods for the evaluation of quality of health with regards to external as well as the internal perspective- The evaluation of influence of the Care Quality Commission (CQC) is helpful in determining the application of external environment. Care Quality Commission is also helpful in the documentation of the external factors in which the organisation is operating its functions(Blake, et. al., 2015). On the other hand, the internalfactors Total Quality Management (TQM) inquire the financial performance of the Royal United Hospital and also helpful in understanding the behaviour of the service seekers(Mohammad Mosadeghrad, 2013). Health and social care facilities in the Royal United Hospital generally adopt this approach. Quality assurance programs in the Royal United Hospital also concentrateon the certain issues like documentation, supervision and administrative processes. Moreover, Care Quality Commission is also fruitful for the organisation in developing the healthcare practices and procedures so that the satisfaction level can be increased of the service seekers. TQM can be the best approach for the home care because it is able to analyse the external as well as the internal factorsAdditionally, TQM is also helpfulfor the Royal United Hospital by ensuring its sustainable growth and by providing the competitive advantage (McKee, 2012). 4.2 discuss the impact that involving users of services in the evaluation process have on service quality. By concentrating on the collaborative work the Royal United Hospital can establish the assessment of quality system. This also gives the significance to the quality assessment elements within the safe, hygienic and efficient environment. By acknowledging the quality related to health and social care needs to be a broader perspective. Other than this the failure of involvement of service seekers can cause the injuries some times. And it can be difficult to analyse the quality of health and social care when the practices are done under the isolation from the stakeholders or the other bothered parties(Barber, et. al., 2011). By involvement of service seekers who are from different backgrounds can lead the organisation towards innovation and more creativity(Barber, et. al., 2011). Now we will talk about the factors which are essential for the improvement quality at the Royal United Hospital. The developments in the organisation seeks the diversity and at the Royal United Hospital there is need of quality measures so that the decisions which are taken capable in providing the supervision to mark the performance. Apart from that by enhancement of the facilities and premises of the Royal United Hospital more patients can be served. Finally, we can say that health and social care service providers require thenew heights in the service industry(Barber, et. al., 2011). In the above report, we talkedabout theperspective of different stakeholders in the health and social care services, which include the perspective of service seekers or patients, service providers, technicians and other legal bodies. Then the role of two external agencies Care Quality Commission and National institute for clinical excellence described well. After that the impact also described of poor care in context of business organisation and service seekers.Standards of the health and care industry also talked wellfor measuring the quality. Then the evaluation of different approaches implemented to quality system is discussed with the potential barriers. Effectiveness of policies, procedures and system which are used in the health care for the achievement of the quality services also described. In this report the certain methods also included to improve the quality of homecare services. Finally, the evaluation of internal as well as the external perspective is also focused,then the impact that involves the service users in the evaluation process is also characterised. Barber, R., Beresford, P., Boote, J., Cooper, C. & Faulkner, A. 2011, "Evaluating the impact of service user involvement on research: a prospective case study", International Journal of Consumer Studies, vol. 35, no. 6, pp. 609-615. Blake, A., Sparrow, N. & Field, S. 2015, "Care Quality Commission", InnovAiT: Education and inspiration for general practice, . Cowles, L.A.F. 2003;2012;, Social work in the health field: a care perspective, 2nd edn, Haworth Social Work Practice Press, New York. Hu, M. 2014, "The impact of an integrated care service on service users: the service users’ perspective", Journal of Health Organization and Management, vol. 28, no. 4, pp. 495-510. Janamian, T., Jackson, C.L. & Dunbar, J.A. 2014, "Co-creating value in research: stakeholders' perspectives", The Medical journal of Australia, vol. 201, no. 3 Suppl, pp. S44-46. McKee, M., Figueras, J. & Saltman, R.B. 2012;2011;,Health Systems, Health, Wealth And Societal Well-Being: Assessing The Case For Investing In Health Systems, 1st edn, Open University Press, GB. Mohammad Mosadeghrad, A. 2013, "Obstacles to TQM success in health care systems", International Journal of Health Care Quality Assurance, vol. 26, no. 2, pp. 147-173. Ozok, A.F. 2012, "Fuzzy modelling and efficiency in health care systems", Work (Reading, Mass. ), vol. 41 Suppl 1, pp. 1797. Pejovi?, G., Filipovi?, J., Tasi?, L. & Marinkovi?, V. 2016, "Towards medicines regulatory authorities' quality performance improvement: value for public health and social care", The International Journal of Health Planning and Management,vol. 31, no. 1, pp. E22-E40. Rawlins, M.D. 2015, "National Institute for Clinical Excellence: NICE works", Journal of the Royal Society of Medicine, vol. 108, no. 6, pp. 211. Sahel, A., DeBrouwere, V., Dujardin, B., Kegels, G., Belkaab, N. & Alaoui Belghiti, A. 2015, "Implementing a nationwide quality improvement approach in health services", Leadership in Health Services, vol. 28, no. 1, pp. 24-34. Thorogood, M. & Coombes, Y. 2010, Evaluating health promotion: practice and methods, 3rd edn, Oxford University Press, Oxford;New York.